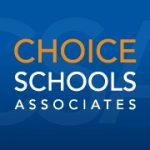 With a Choice Consulting Coaching Package, you'll have the opportunity to connect with any Choice expert in your area of need. Calls include 1:1 conversation that will last 1 hour. Your calls will be scheduled once every 2 weeks. With a Choice Consulting Coaching Package, you’ll have the opportunity to connect with any Choice expert in your area of need. Calls include 1:1 conversation that will last 1 hour. Your calls will be scheduled once every 2 weeks.